If you decide to download the update, a USB storage device, such as a Sony Micro Vault or something similar, is required to perform the update. Sony is aware that not all USB storage devices are compatible with our TVs. If the software update does not automatically begin when you connect the USB storage device to the TV, you should use a different one. View formatting instructions. Download the Update - Click the Download Now icon on this page to download the update to your computer and then follow the instructions below to install the update on your television. IMPORTANT: If you decide to download the update, a USB storage device, such as a Sony Micro Vault® or something similar, is required to perform the update. Sony is aware that not all USB storage devices are compatible with our TVs. 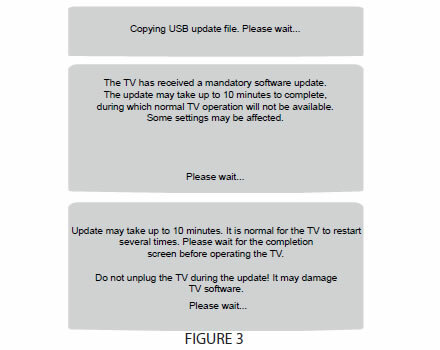 If the software update does not automatically begin when you connect the USB device to the TV, you should use a different one. View formatting instructions. Request the Update be Mailed to You - Contact our customer support staff at 1-800-222-7669. If it does, the update will be mailed to you on a USB storage device, along with instructions on how to perform the update. Download the SW_Package_0415_uc.exe file to a temporary or download directory (please note this directory for reference) on your computer. Go to the directory where the file was downloaded and double-click the SW_Package_0415_uc.exe file to extract (unzip) the update file. At the "WinZip Self-Extractor-..." window, under "Unzip to folder," click the Browse... button. At the "Browse for Folder" window, click "Desktop" at the top of the list and then click the OK button. Note: If you prefer, you can select a different drive and/or directory to extract the file to. If you do, please make note of the directory for reference. At the "WinZip Self-Extractor-..." window, click the Unzip button. The file will be unzipped (extracted) to your computer desktop or to the alternate directory that you selected. At the "1 file(s) unzipped successfully" message, click OK.
At the "WinZip Self-Extractor-..." window, click the Close button. Go to your computer Windows desktop (or to the directory to which you extracted the file) and locate the file icon titled sony_dtv_package415r.p08. This is the file you unzipped. Right-click on the sony_dtv_package415r.p08 icon and, from the menu, click "Send To...", and then click the drive (EX: Removable Disk (E:)) that represents your USB device. 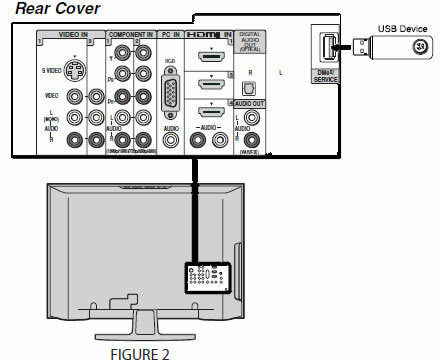 The sony_dtv_package415r.p08 file will be copied onto your USB device. Note: During the update process, the screen on your TV set will display progress information or may be blank, this is normal. Please do not remove the USB device until the update complete message displays on the screen. Note: The label on the USB device should be facing left. The software automatically begins to update. The entire update process will take approximately 10 minutes. During the update process several messages will display on your TV screen (See Figure 3). Also, the POWER LED will turn off, the PIC OFF/TIMER LEDs slowly flashes amber, and the STANDBY LED is red (See Figure 4). When the update is complete, an "update is complete" message displays (See Figure 5). Select OK by pressing the button on the Remote Commander. Remove the USB device from the "DMex/Service" or "DMex" port. Delete the sony_dtv_package415r.p08 file from the USB device, or reformat the USB device.